In the first of a series this week looking at aspects of royal weddings in London in days past, we canvas some of the venues which have hosted the sometimes glittering occasions. 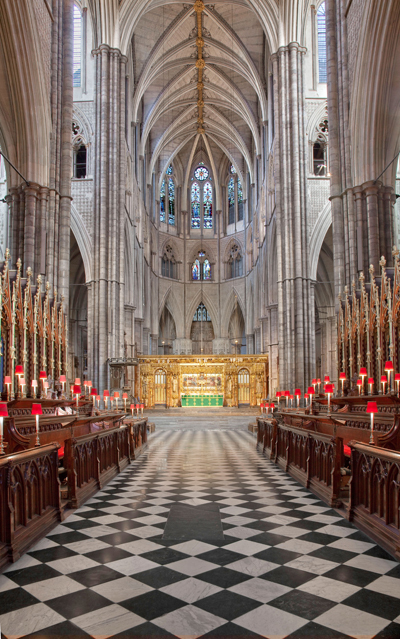 First up is Westminster Abbey (pictured), the location of Prince William and Kate Middleton’s wedding this Friday, which, despite its thousand year history, is only believed to have hosted 15 royal weddings. Among them is said to have been the wedding of King Henry I to Matilda of Scotland on 11th November, 1100, as well as that of Richard, Earl of Cornwall and brother of King Henry III, who married his second wife, Sanchia of Provence, there on 4th January, 1243, and Joan of Acre, daughter of King Edward I, who married Gilbert, Earl of Gloucester, on 30th April, 1290 (her sister Margaret married John, Duke of Brabant, at the same venue less than three months later). The abbey also hosted the wedding of King Richard II to Anne, daughter of Emperor Charles IV of Bohemia, on 20th January, 1382. The abbey church has become increasingly favored as a venue for royal weddings in more recent times. Among the most prominent hosted there last century were that of Prince Albert, Duke of York (later King George VI), who married Lady Elizabeth Bowes-Lyon on 26th April, 1923 and that of their daughter Princess Elizabeth (later Queen Elizabeth II) who married Prince Philip of Greece (later the Duke of Edinburgh) there on 20th November, 1947. A notable break with the trend in recent times was the marriage of Prince Charles and Lady Diana Spencer – they were married in a fairytale ceremony at St Paul’s Cathedral on 29th July, 1981. 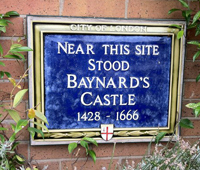 Other London locations for royal weddings have included the now non-existent Greenwich Palace (King Henry VIII married Katherine of Aragon on 11th June, 1509) and Hampton Court Palace (another of King Henry VIII’s marriages – that in which he was wed to Catherine Parr – was held here in a private chapel on 12th July, 1543). Along with St George’s Chapel at Windsor, the Chapel Royal at St James’s Palace in London was particularly popular in Victorian times – Queen Victoria married Prince Albert there on 10th February, 1840, and their eldest daughter, Princess Victoria, married Prince Frederick (the future German Emperor Frederick III) there on 25th January, 1858. On 6th July, 1893, the chapel also hosted the wedding of the future King George V and Princess Mary of Teck.